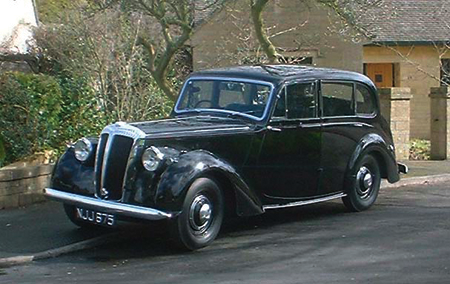 The Consort replaced the similar DB18 21/2 litre saloon, which was launched at the end of the war. The major changes to the chassis being the move to hydro mechanical brakes and a hypoy bevel differential. The main visual pointers are the new curved and sloping radiator surround, already seen on Barker’s elegant Special Sports, and the faired in headlamp arrangement. 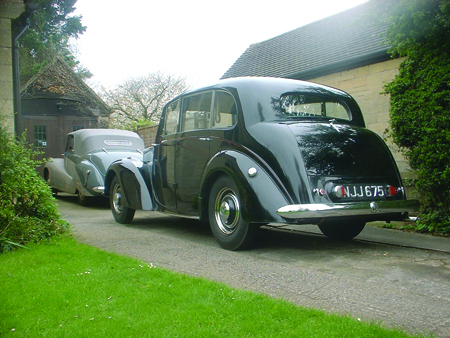 I have owned several excellent Consorts and one in poor condition (this is an advantage when going on to buy better cars, as it gives an idea of where to look for potential problems). These handsome saloons are a delight to drive, they have a very rigid body which is well suited to the chassis, the six cylinder engine and single S.U. 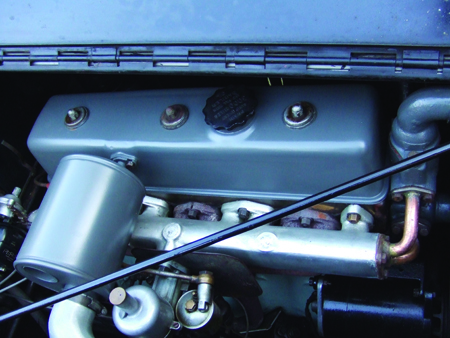 carburettor are well matched, a good one will tick over sweetly and quietly and can hardly be heard from inside the car. The performance from the ohv engine is very good, the touring ability of this model is in some respects better than the Special Sports due to the rigidity of the steel body, which is strengthened by an alloy frame which supports the centrally hinged doors. All round vision is remarkably good, slim pillars and light side window frames make for an extremely bright interior. If you are not fond of open cars, this is in my opinion the best ‘all rounder’, the ideal cruising speed I find is around 55-60mph, fuel consumption is good but doesn’t quite match the Special Sports, which despite its more sparkling performance, somehow manages to be more fuel efficient. The engine is fitted with a steel cylinder head with inclined valves and is less troublesome than the alloy type. The pre-selector gearbox does not have the overdrive of the Special Sports but is nevertheless quite well geared, although at motorway speeds, the engine is busy. 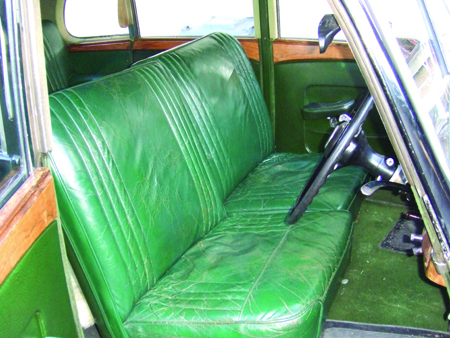 The well sprung seats are particularly comfortable and the rear passengers have legroom that no modern car can come close to. 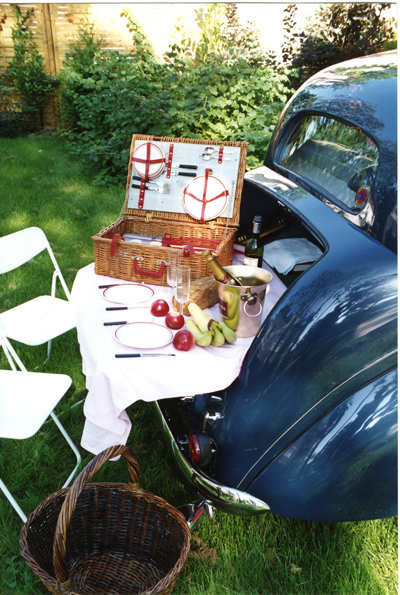 If you like to take the family out for picnics or to motor shows this is the car for you, one huge advantage over the Special Sports is the fold flat boot which when opened can be utilised as a dining table. Boot doubles up as a picnic table! Consorts are around a third of the price of a Bentley MKVI and although not as powerful, are close to the comfort level and far more exclusive. Many of these Daimlers have been broken for spares to keep the more exotic coach built Daimlers on the road, this is a great shame as they are marvelous cars in their own respect. The Consort is based on an almost identical chassis to the Special Sports and most parts are interchangeable. The differential is of the hypoy bevel type (as opposed to the underslung worm drive on the Special Sports and earlier 21/2 litre saloon car). The steel body is strengthened by an alloy frame which supports the centrally hinged doors and gives the car great rigidity. 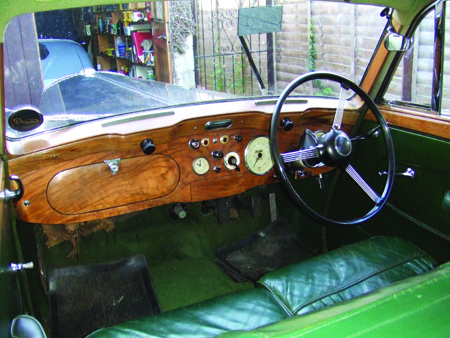 The Consort can suffer from rust in the sills, door bottoms and the usual old car weak points. One specific area to check is the top of the door pillar, rust can blister here and is caused by the interaction of alloy and steel, it is not a terminal problem but more difficult to properly repair than you might at first think. Repair panels are not available – home fabrication being the only option. Low mileage, well looked after cars are prized and do turn up from time to time, buy one of these if you can afford it, as once again restoration costs are difficult to recover. If you are able to carry work out yourself do not be put off buying a compromised car, they are very straightforward and easy to work on. If you would like to know more about the Daimler Consort please contact me by completing the form below.